Latin for �heavenly mountain,� Monticello�s founders supported Thomas Jefferson�s populist ideals, naming their village for his Virginia home. Center of the Town of Thompson and seat of Sullivan County since 1809, Monticello was founded in 1804 and incorporated in 1830 by John and Samuel Jones. Tanning, lumbering, farming, and manufacturing gave way to tourism. The railroad came in 1871. A fire in 1909 decimated the downtown, but automobiles and an artery nicknamed �the Quickway� connected New York City to the mountains and made Monticello a recreation center. The years 1920 to 1930 saw a population increase of 48 percent. Sidewalks brimmed with shoppers as Broadway, lined with stately and beautiful shade trees, clattered with traffic at all hours. 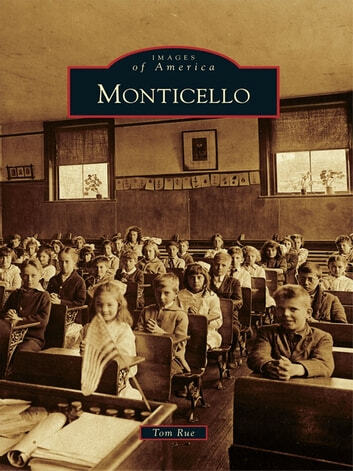 Slightly over an hour from Manhattan, Monticello had two identities: a community built and sustained by workers, residents, and businesses and a busy �borscht belt� vacation center of boardinghouses, hotels, bungalows, and recreation.